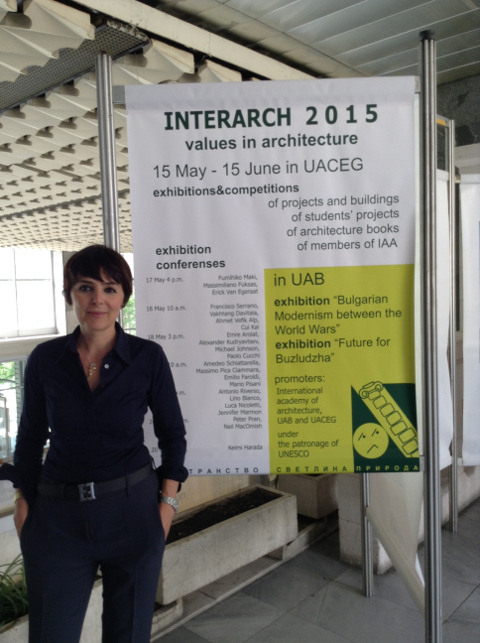 A1e was selected for the prestigious International Architecture Triennial ‘Interarch 2015’ which was held in the Bulgarian capital Sofia in May 2015. This is an important exhibition, which features the leading masters of contemporary architecture. A1e produced three themed panels on Architectural Structures of the Future, Innovations and Traditional Architecture, Architectural Identity, Architecture and Ecology and Sustainable Cities. The company presented the works together with Mediterranea Engineering Srl within the OICE exhibition space. OICE is the association of Italian engineering, architectural & technical economic consulting organisations.